It’s been a cold winter and I would like something warming my ears when I am outside, even though I never like hats. And I found this pattern from Lady by the Bay that I fell in love with, even though I’ve never knitted a hat before. I couldn’t find the yarn that was used in the pattern, so I got the Lion Brand Wool-Ease Thick & Quick Yarn (Color: Wheat) instead. 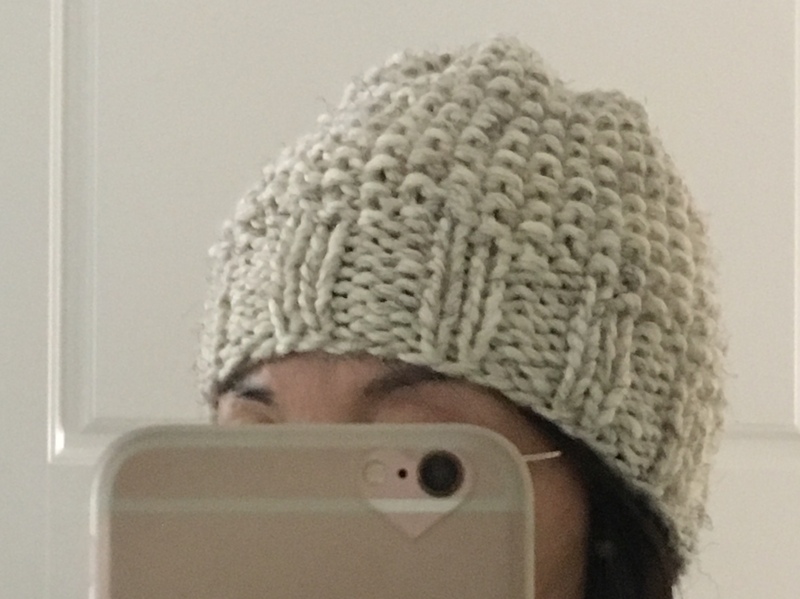 I will show you what I did as a first timer knitting a hat while following the pattern. When I read the materials used “US 11 – 8.00 mm 16″ circular needle or dpns”, I already got stuck. I don’t have the 16″ circular needle (my shortest circular needle is longer than 16″), but what does “dpns” mean? So I searched on YouTube and found the answer. “dpns” stands for double pointed needles. Then I remember I’ve seen my mom using 4 short needles to work on sleeves when I was a kid. But I don’t remember how my mom manage the 4 needles to get them work. I found a video (click here) from Sheep and Stitch with clear demo and instructions for beginners like me . After watching the video, I could start my project. I use 3 x 8.00mm double pointed needles using long tail cast for 44 stitches. It seems small, but the finished project does stretch to 22″, big enough for my head. The pattern works from the bottom of the hat all the way up. First I will be working on the ribbing. The ribbing pattern is K2, P2, meaning you knit 2 stitches and then purl 2 stitches, repeating this till the end of your row. 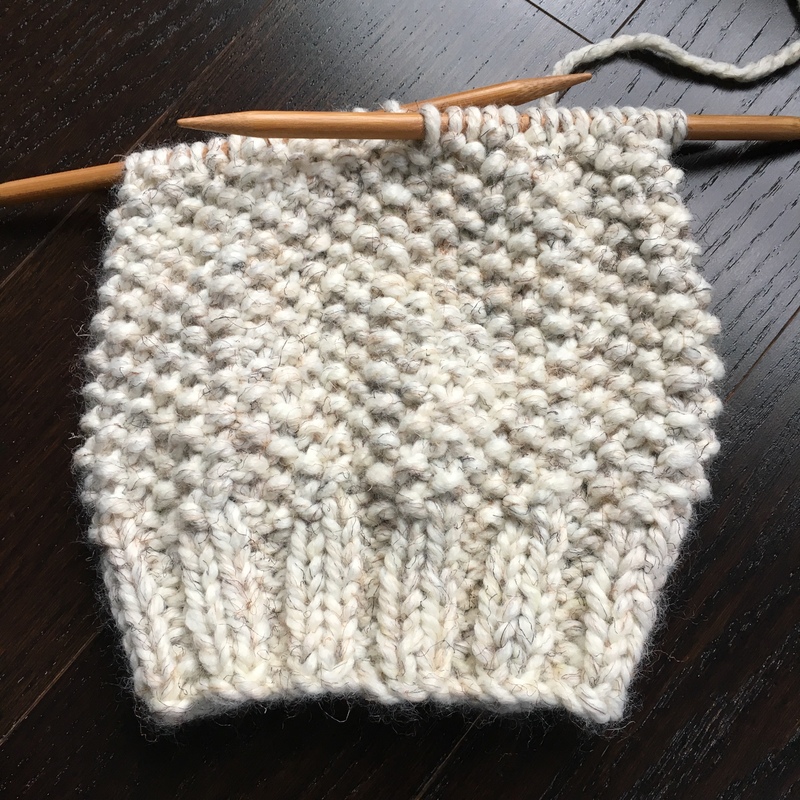 I have reached 2″ when I finished 9 rows (instead of 11 rows as stated in the pattern). Then I switched to 9.00 mm double pointed needles for the seed/moss stitches as instructed in the pattern. The 1st row of seed/moss stitches is easy until you reach the last stitch. The pattern said “K1, P1 until last st, purl front and back of last st. You should now have 45 sts on your needle.”. So I did K1, P1 from beginning till my 43rd stitch (ending with K1), then I have to purl front and back for the last stitch. I again searched on YouTube since I don’t know how to do that, and found this video (click here) from Gingerly4it which is pretty helpful. So I did the purl front and back and got 45 stitches for my 1st row of seed/moss stitches. 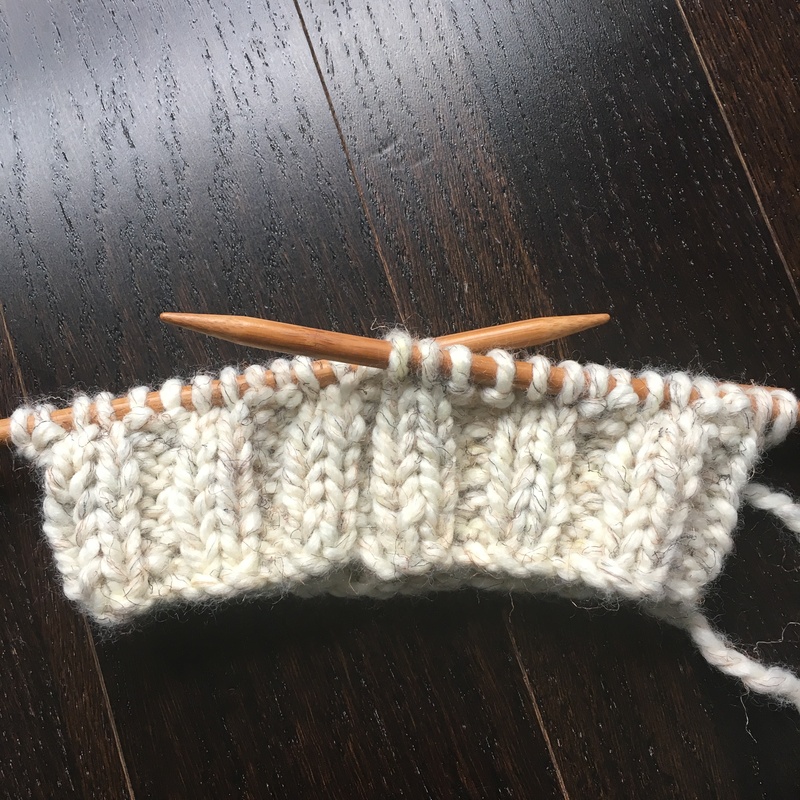 For the rest of the rows to do the hat, you pretty much just knit on the purl stitches, and purl on the knit stitches, if you know how to tell the difference between knit and purl stitches. 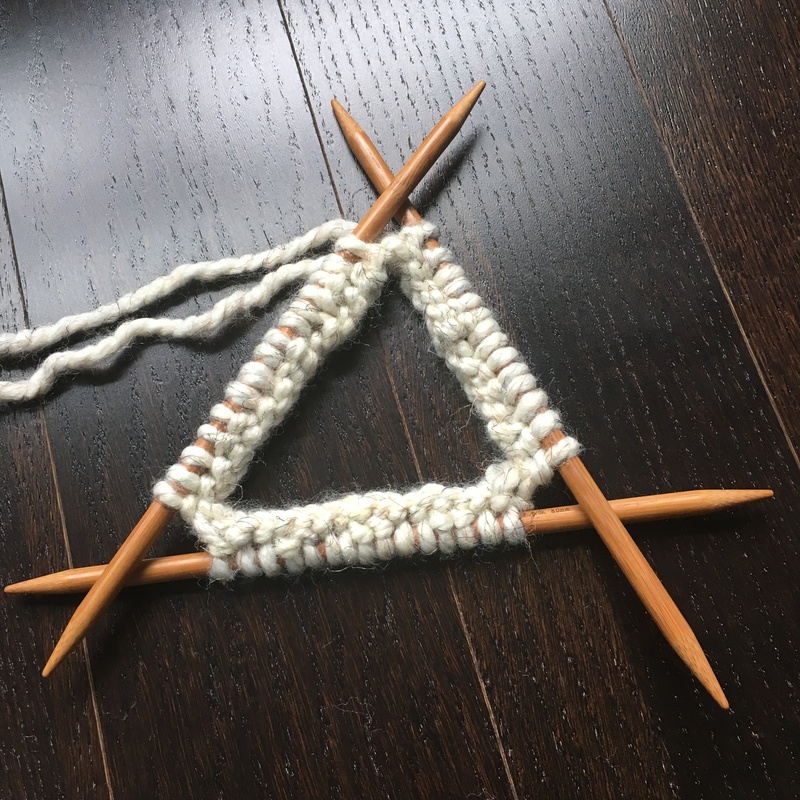 A video (click here) from B. Hook Crochet could be helpful when you work on this project, although her ribbing and design are different. But you will get a rough idea how to handle yours if this is your first time like me (see her written pattern here). I also find her way of finishing the project easier, so I adopted her way in my project which will be mentioned later in this post. 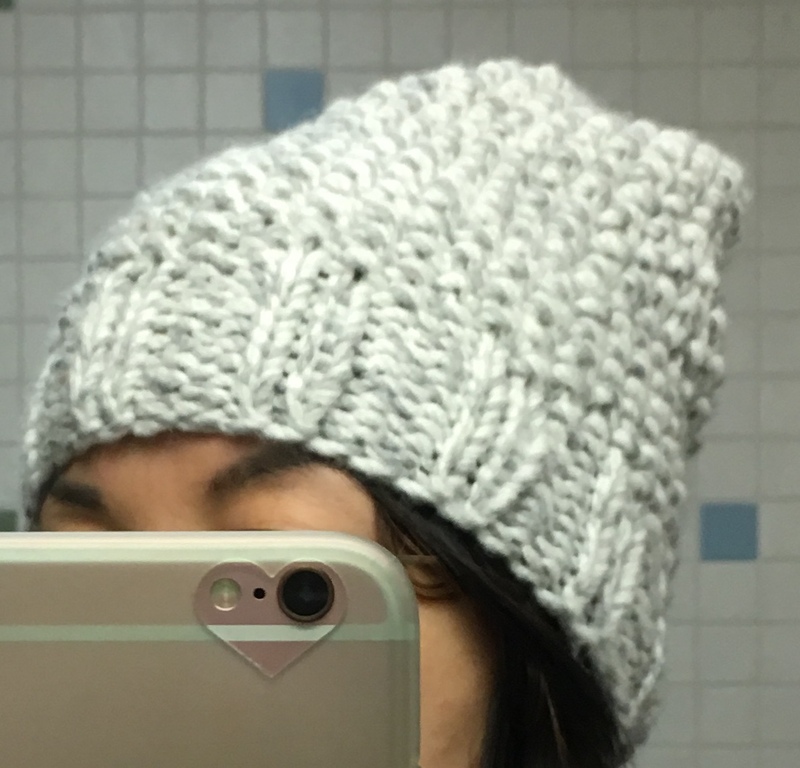 I did 23 rows of seed/moss stitches when I got my hat measuring 9.5 ” including my 2″ ribbing. 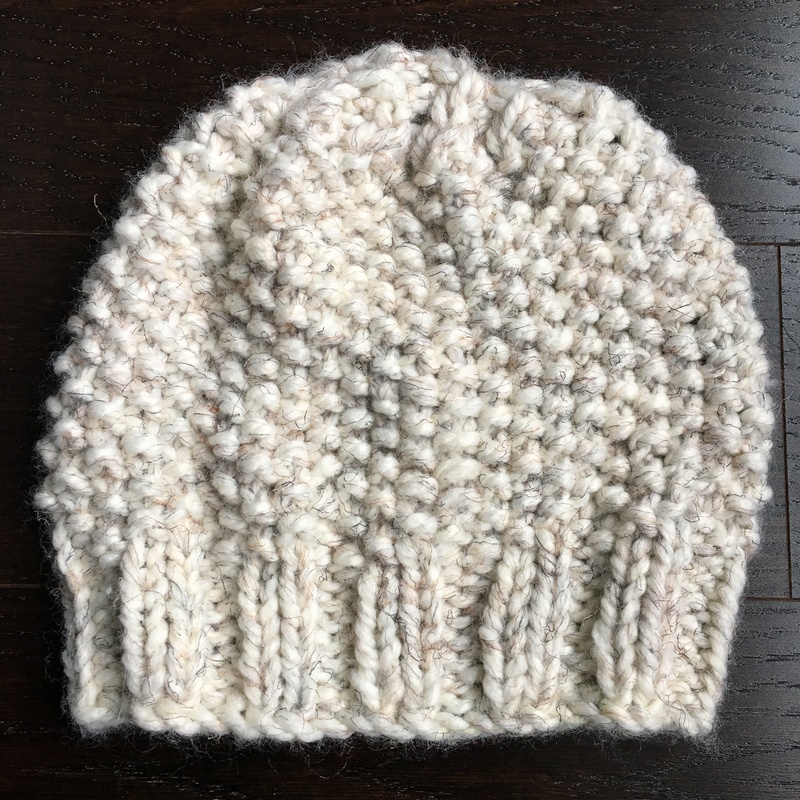 Hope you find this helpful learning how to make a knitted beanie! Happy knitting/crocheting!